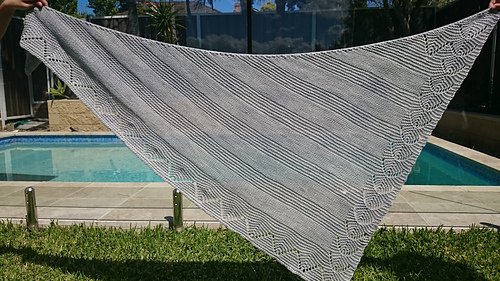 Thornberry: a contemporary asymmetrical shawl in a beautiful blend of White Gum Wool merino and tussah silk. 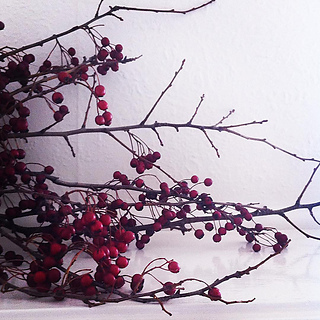 Completely reversible and generously proportioned, Thornberry’s simple lace was inspired by Hawthorn berries. 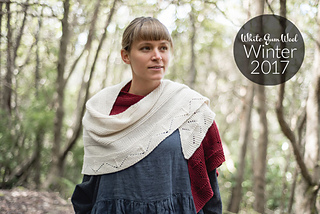 Thornberry is a relaxing knit, with texture, drape, and gentle warmth. A versatile shape to wear, Thornberry has quickly become a wardrobe staple. Choose a neutral for classic elegance, or opt for a bright statement colour. Thornberry has been professionally tech. edited and test knitted. The pattern contains written as well as charted instructions. 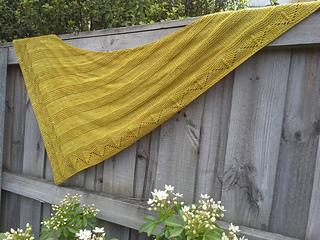 Thornberry makes the most of two skeins of White Gum Wool 5ply silk/merino. Please take the time to swatch and measure your gauge.